Megan Elias, Victoria Gan, Ana Ritchie. There is a Chinese proverb that goes, “Water is the mother of tea, a teapot its father, and fire, the teacher (“Tea Proverbs”, 2015)”. This simple proverb alone illustrates the multifaceted relationship the Chinese have with tea. Not only is it a form of drink to quench one’s thirst, to the Chinese, it is indicator or clue to the kinship system within the culture. Weddings live and die by the traditions a culture imposes on them. In the United States, a wedding calls to mind a white dress, a white cake, and the free flow of champagne. In Singapore-Chinese culture, depending on the couple’s preferences and family’s ancestry, one may see a combination of Western and Chinese traditions. However, no matter the style of the wedding, a couple will always have a wedding tea ceremony. This ceremony has its roots in China, but despite the distance and time that has passed between the original Chinese tea ceremonies, the roles played by each individual have remained the same and very structured to reflect the intense respect for tradition a wedding brings. 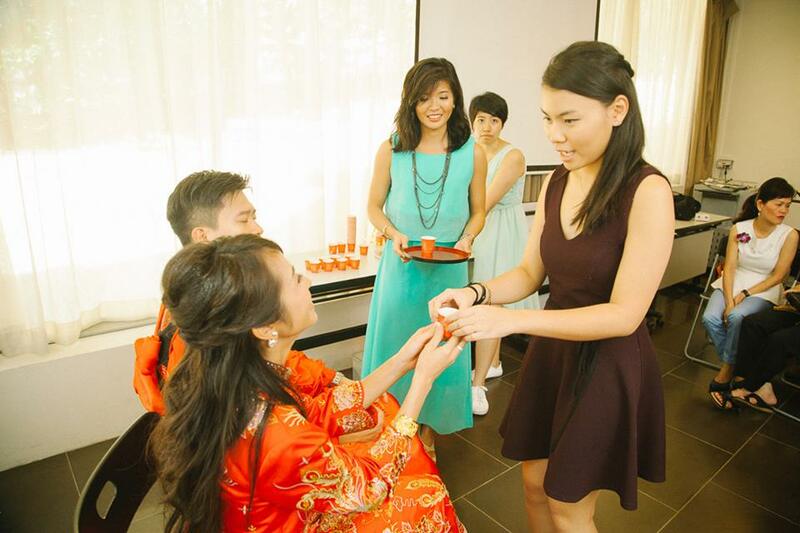 In this mini ethnography, we will take a look at the history and significance of the Singaporean Wedding Tea Ceremony. We employed a variety of research methods to gain a diverse amount of data. 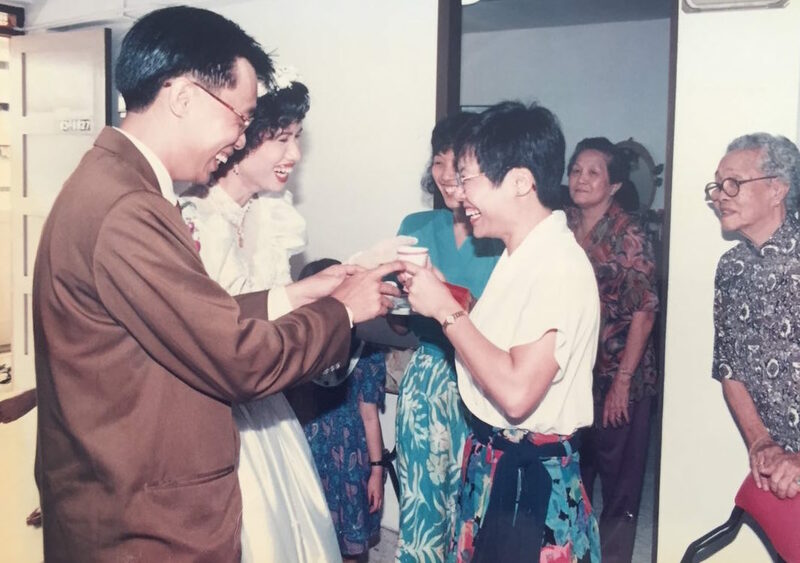 First, using semi-structured interviews, we gathered insight from our informants – members of one Singaporean-Chinese family, spanning two generations – about their experiences with the ceremony, and what significance tea holds for them as individuals. Next, to learn about the process the tea goes through before it reaches our tea cups, we also went to Arborteas, an tea vendor in Ann Arbor, staffed with tea enthusiasts and experts to help us learn more about the different types of teas used for the wedding ceremony, specifically Oolong and Pu-erh. processed. To produce a green tea, the leaves are not oxidized at all, to be an oolong, the leaves must be partially oxidized, but not so much as to become a black tea, whose leaves are usually completely oxidized. Pu-erh is defined not as oxidized or unoxidized, but as fermented. 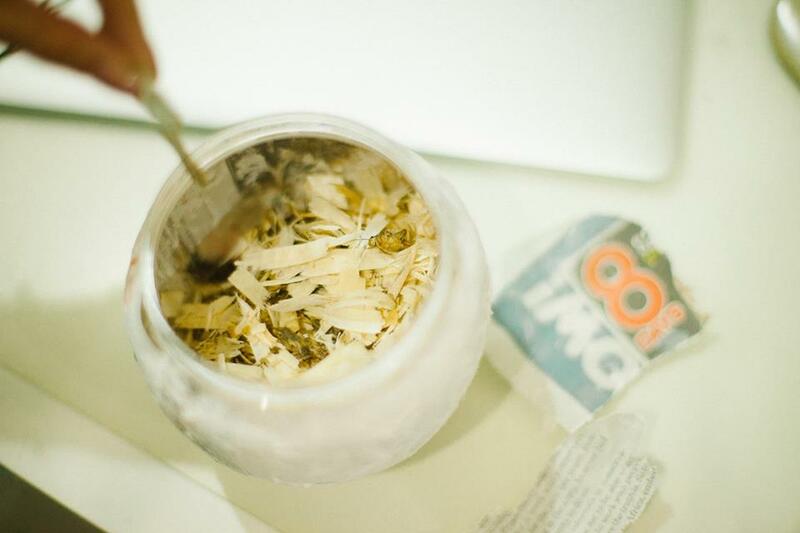 Pu-erh has enzymes that remain active, thus allowing it to be aged and change its flavor over time. 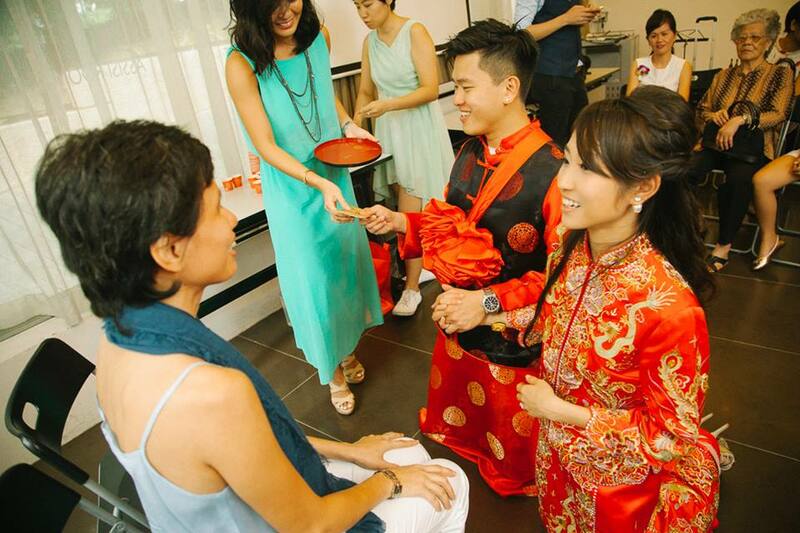 The objective of this study was to therefore examine kinship ties within the Singaporean-Chinese culture, by observing its wedding tea ceremony tradition. The study will draw upon the associated history, symbolisms and rituals for analysis. With this diverse arsenal of knowledge, we dove into analyzing the kinship relations one can see from witnessing the wedding tea ceremony, and how gender plays a role among the kinship system. Singapore’s story is long and dynamic. It began in the third century as “one of the many trading outposts serving as an entrepôt and supply point for Malay, Thai, Javanese, Chinese, Indian, and Arab traders” (“History of Singapore”, n.d.). After European arrival in 1511, conflict erupted and trading and settlement halted. It was not until 1819 that a representative from the British East India Company opened a new trading port and people began to immigrate to Singapore once again (“History of Singapore”, n.d.). 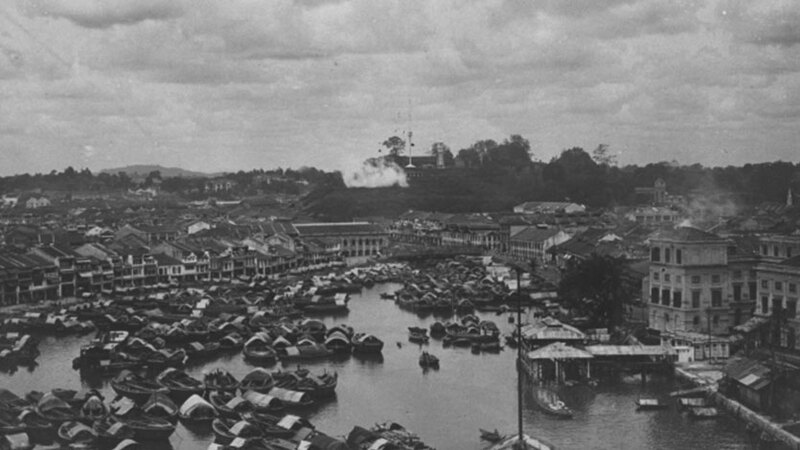 People from the surrounding Asian countries flooded to the island and ”by 1827 Chinese had become the most numerous of Singapore’s various ethnic groups” (“History of Singapore”, n.d.). It was a treacherous journey for immigrants as leaving the Chinese empire would result in executions (Lim, 2013). Therefore, they could not go back to see their families if they wanted to. As a British crown colony, Singapore saw even more Chinese immigrants in 1946, especially from the Fujian and Guangdong provinces in China. Its independence from Britain in 1965 saw new restrictions on Chinese migration into the country (Lim, 2013). Chinese immigrants to the country, however, were not ethnically homogeneous. In fact, were wildly diverse in terms of regional culture, language (dialects), and practices (Heng, 2012). Hence, this combination of heterogeneous Chinese residents and English rule is a likely contributor of the blending of Asian and European practices into a unique Singaporean culture. The wedding tea ceremony is one of the Chinese traditions that survived the move across the sea and secured itself as the most prominent wedding tradition. There are several traditions included in a traditional Singaporean wedding, such as the groom’s fetching of the bride (Heng, 2012). Nonetheless, the pervasive themes of tea and respect in Chinese and, by extension, Singaporean-Chinese culture are what keep this particular custom the most vital. The ceremony dates back approximately 1200 years to the Tang Dynasty of China. Since then, the serving of tea has been to show respect (“Chinese Wedding Tea Ceremony”, 2015). In the context of a wedding, it not only shows respect, but gratitude to each set of parents: from the son or daughter for being cared for and raised in a loving home, and from the new son- or daughter-in-law for raising the person they want to marry, and for allowing someone new to enter the extended family. The importance of family and respect that is palpable in the tea ceremony has been a part of Chinese culture long before our ethnography project. “The elderly are respected and honored, while young children are the focus of the family” (Liu, 2013). These ideals have persisted in Chinese culture and have translated seamlessly into the Asian/European blended life in Singapore. The informants cited in this mini-ethnography are the family members of one of our researchers. 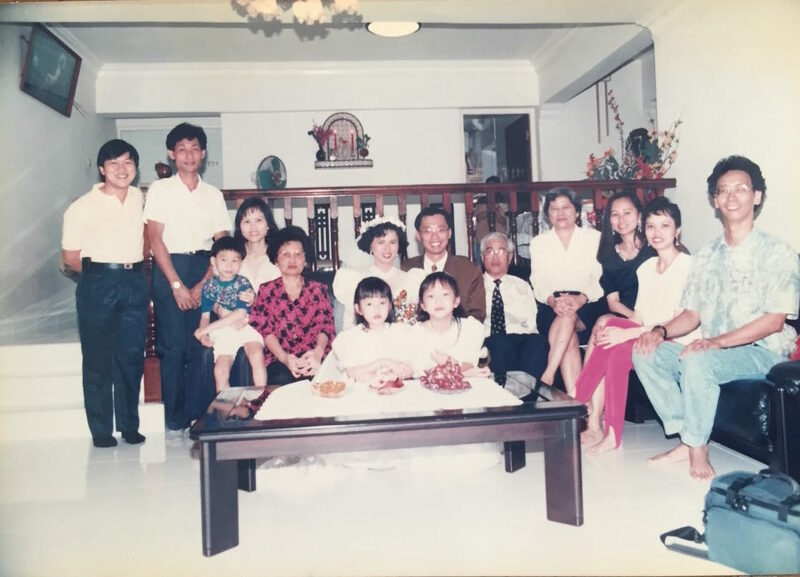 The family are 5th generation immigrants to Singapore, with the youngest family member born in 2016. The patriarch on the maternal side, and the matriarch on the paternal side of our researcher’s family were both born in Singapore in 1934. The maternal side of the family is ethnically Chinese, and speak Cantonese. We are unable to trace which part of China the family is from as the male ancestor who had established the family in Singapore was sold as laborer as a young child and does not remember where he came from. The family identifies as Catholic. What is important to note is that some of the family are U.S. citizens, while others still live in Singapore. The paternal side of the family is also ethnically Chinese. However, they speak Hokkien, and their ancestors hail from the Fujian province in China. The family holds a wide range of religious beliefs, from Christianity, to Catholicism and Buddhism. Anna, the researcher’s mother, is representative of the middle-aged generation. Her wedding took place in 1993. Margaret, from the paternal side of the family, is also a representative of the middle-aged generation. While she declined to do an interview, she provided us with pictures from her wedding. She was married to an African-American man in the 2000s. Sarah, Darren and Crystal are cousins and cousins-in-law of the researcher, who had just had their wedding ceremony in 2015, and 2017, respectively. Erin is another cousin, who is planning to hold her wedding within the next couple of years. They are all representative of the younger generation, who are now experiencing the wedding tea ceremony for the first time. The first two from the maternal side, while the latter two from the paternal. Sarah and Erin are cousins, but Sarah is older than Erin. Their mothers are sisters. Sarah and Erin are Anna’s nieces. They are daughters of Anna’s sisters. Crystal is Margaret’s niece-in-law: Margaret’s sister’s daughter-in-law. 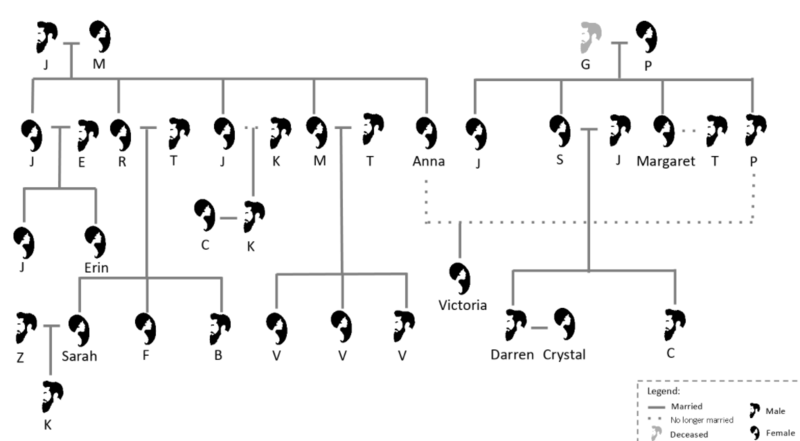 Because this is the family of one of our researchers, her positionality as part of the family may have affected our results. For instance, they might feel that as an ‘insider’ to the culture, she should already know most of the information about the tea ceremony and may have omitted or glossed over certain pertinent facts during their interviews. Thus, affecting our ability to gain a complete picture. In short, the couple makes a pot of tea beforehand, and gives a small cup of tea to all of their older relatives, beginning with oldest male relative and ending with youngest female relative that is still older than the couple. In return, the relative then hands the couple either jewelry or a red envelope filled with money. 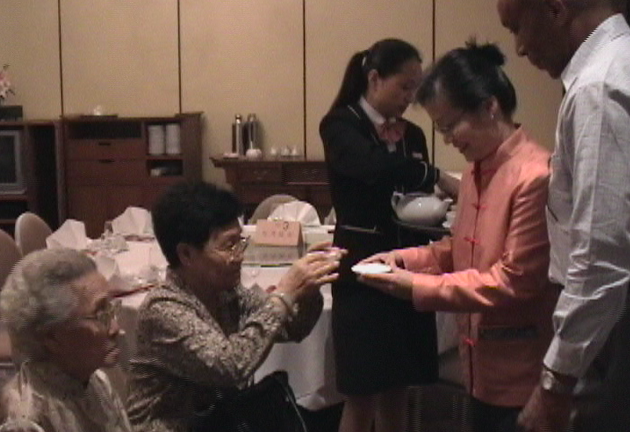 Then the couple is seated and all younger relatives serve them tea and are given a gift or a red envelope (Soh, 2012). Filial piety is the underlying concept of the wedding tea ceremony, which honors those older than the couple, particularly parents and grandparents. The informants all noted that it was necessary to honor the elders, Anna explained during the interview, “… amongst the Chinese, it is very important to show respect to the elders, and that is why we have to greet the elders when we meet them, you know, making sure they are comfortable.” Despite many changes in dress, the type of tea used, and the timing of the ceremony, the main purpose of the ceremony is to honor the elders of the family and the family of the spouse, “a form of gratitude for bringing you up or bringing up your spouse well,” as Sarah explained. The Chinese concept of filial piety seems to have its roots in Confucianism. The ideal filial child “reveres his or her parents, serves them unconditionally and willingly sacrifices for their well being (Phua, 2008)”. The wedding tea ceremony is a ceremonial representation of this filial piety not only for the child, but for their soon to be spouse. Anna explained, “So you always start with the most senior person in the family, so if my grandparents were around, then my grandparents would be served first, before my parents.” Also, traditionally the couple kneels before their elders to serve tea. Recently, however, that has become optional. In the pictures of Anna’s wedding it shows her and her husband standing while serving tea to her seated parents, yet in Sarah’s wedding (which occurred more recently), she and her husband are kneeling before their seated parents in order to serve the tea. According to Sarah, “In a typical family, you would serve the male first before you serve the female the tea,” yet as gender equality has become more prominent, Anna thinks “over the years people have become a little bit more flexible.” Erin backs this up. “I don’t really think that gender plays a role, at least in the one that we did (referring to Sarah’s wedding), I don’t think that gender played any role in it. It’s just your age.” It seems the age of the participants still plays a prominent and important role in the ceremony. The importance of gender in the tea ceremony has most likely decreased because in the 1960’s the Singaporean government “encouraged women’s participation in the workforce.” They also introduced many policies designed to help women balance work and their life at home (Lan, 1997). The emphasis that the government put on the health and importance of women in the workforce caused women to become more equal in society, and reduced the expression of inequality in traditional ceremonies, such as the wedding tea ceremony. In the younger generation, tea itself has very little meaning to the participants of the ceremony, other than what the ceremony ascribes to it. However, tea is often associated with warmth by many, and within the Chinese culture as a form of welcome and respect. One offers tea when welcoming another into their home, and in the case of the ceremony to show gratitude and filial piety. Anna agrees. “You watch what happens at wedding ceremonies … your siblings, your relatives, your cousins. So it is by observation right?” It is through this tea ceremony, that the newer generations subtly learn the importance of honoring the elders of the family, as they can see who is awarded more reverence, though it may not be explicitly stated. The informants also believe the tradition is still pertinent to their culture. Anna says, “I still think that it is a good practice. I guess in a way it kind of shows respect because your parents have brought you up and now as you embark on a new journey; starting your own family. If you are talking about symbolism, maybe in a way, it’s the expression of gratitude to the people who have played some role in your life. It’s a transition for you to another chapter in your life.” Again, harping on the importance of showing gratitude to the older generation. Heng, Terence. “A Wedding Photographer’s Journey Through the Chinese Singaporean Urban Landscape.” Cultural Geographies, vol. 19, no. 2, 2012, doi: 10.1177/1474474011421102. Lan, Luh Luh. Lee Jean. “Force-field analysis on policing policies affecting working women in Singapore.” Journal of Management Development, vol.16, no.1, 1997, pp. 43-52, https://doi-org.proxy1.cl.msu.edu/10.1108/02621719710155472. Lim, Jason. “Singapore, Chinese Migration Late 19th Century to Present.” The Encyclopedia of Global Migration, vol. 1, no. 1, 2013, doi: 10.1002/9781444351071.wbeghm485. Phua, Voon Chin, et al. “Filial Piety and Intergenerational Co-Residence: The Case of Chinese Singaporeans.” Asian Journal of Social Science, vol. 36, no. 3, Jan. 2008, pp. 659–679., doi:10.1163/156853108×327155. “Tea Proverbs.” Proverbicals!, 10 Mar. 2017, proverbicals.com/tea-proverbs/.